• PTFE-Adapter: for laboratory bottle with ISO-thread GL 32/45. Application: For less toxic resp. polluted media. 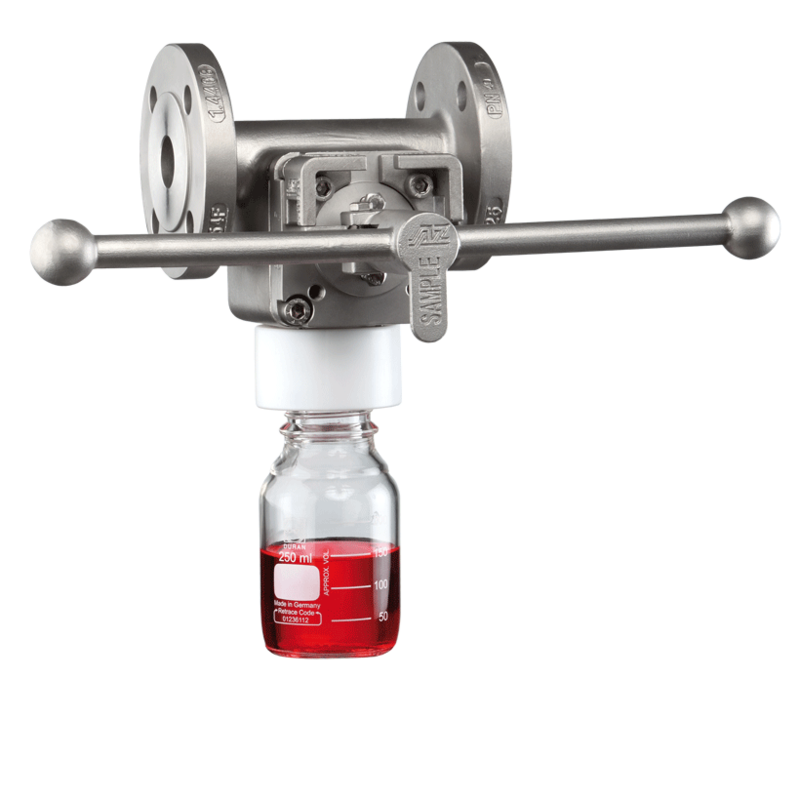 • Clamping Retainer: For fast and easy exchange of laboratory bottle, even for heated version. 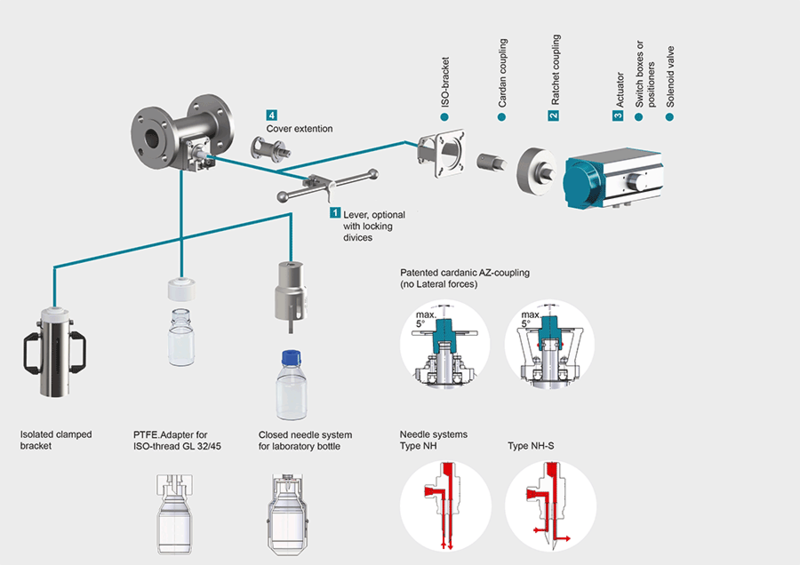 • Needle system: closed needle system for laboratory bottle with septum (Butyl and PTFE). Needle System NH and NH-S with diverse internal diameter(2-6 mm). Application for high toxic resp. polluted media for spillnig eliminated an contamination free sampling. Operating temperatures < -30°C and > 220 °C have to be checked and approved by AZ according to the operating conditions. Besides the P/T value of the sleeve the limitations of the valve bodies also have to be considered. Please refer to the EN 12516-1 resp. ASME B16.34 in order to choose a proper pressure rating (PN/class). The shown values refer to austenitic stainless steel 1.4408 (A351 Gr. CF8M). 1) For operating temperatures below -10°C low temperature / austenitic steels are required. 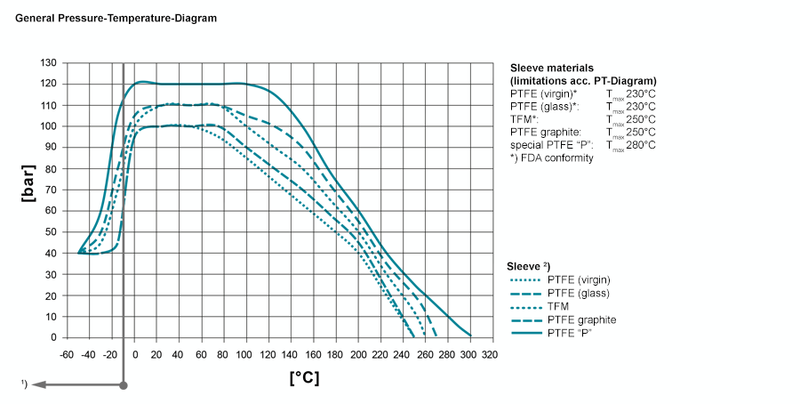 2) Sleeve: There are different sleeve materials / compounds available. 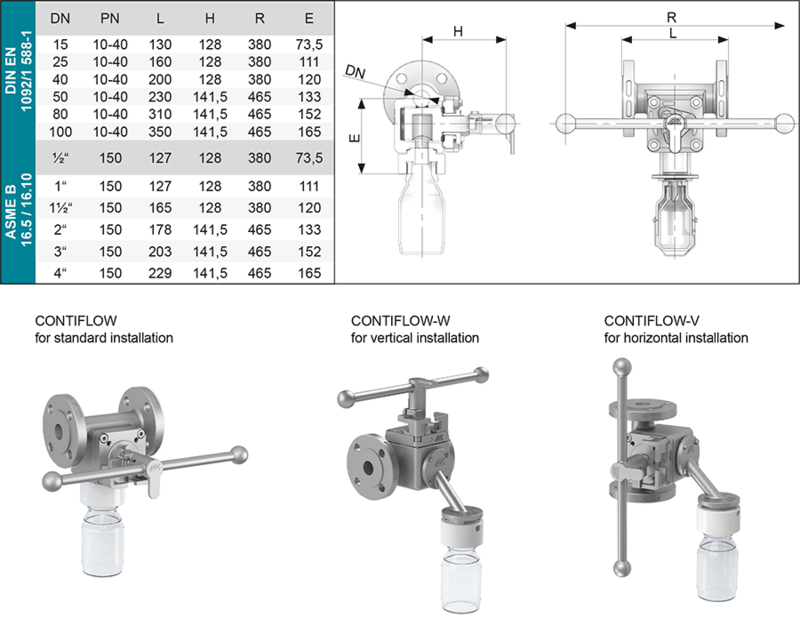 Pilot valve combinations, pad lock eyelets, linear key conception, indexing plunger arrestor.